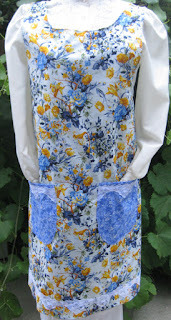 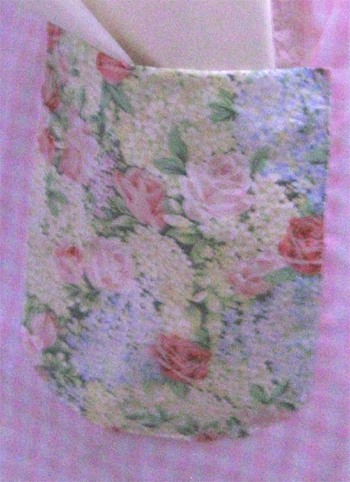 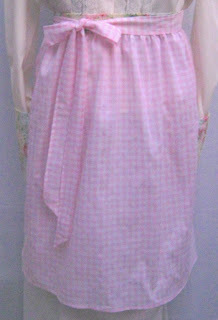 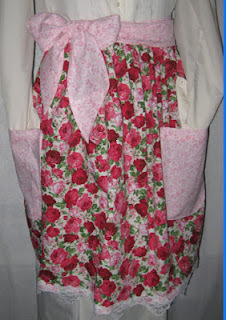 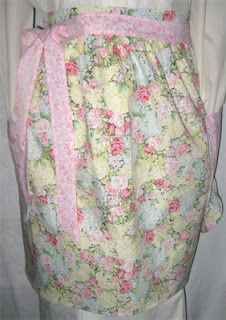 We have a new handmade vintage half apron at countrynmore.com. This vintage waist apron was made using a black and white checked or gingham print fabric. 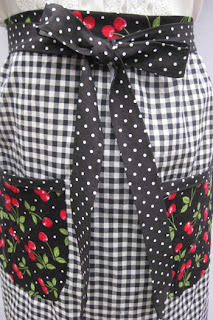 The cherry pockets with the polka dot look fabulous against the plaid fabric. 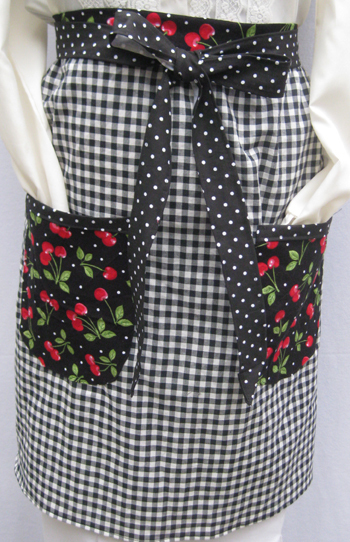 We also used the cherry print for the waistband, while the straps were made using a polka dot print. See, I told you it was cute. 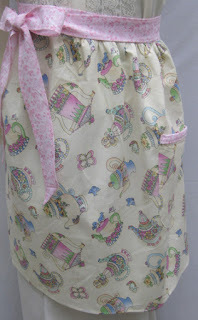 Country N' More is having a sale on the vintage canning aprons, embroidered kitchen tea towels, and grocery bag holders. 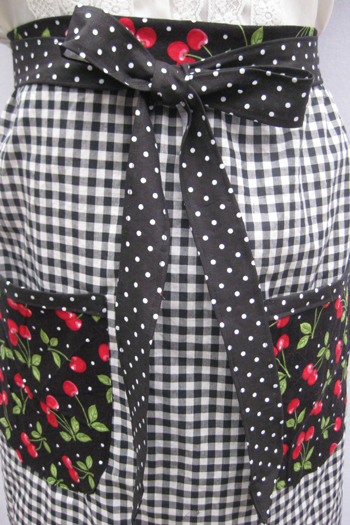 Canning aprons come in small, medium, and large. 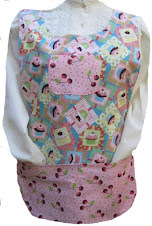 Sale ends April 13th. 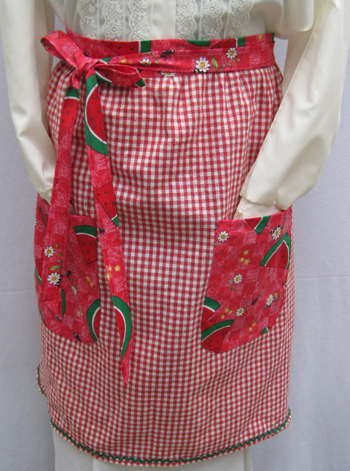 We have added new waist aprons to Country N' More store. This year, we are trying to add more of a selection of vintage aprons. The new waist aprons are just fabulous.